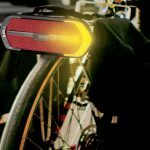 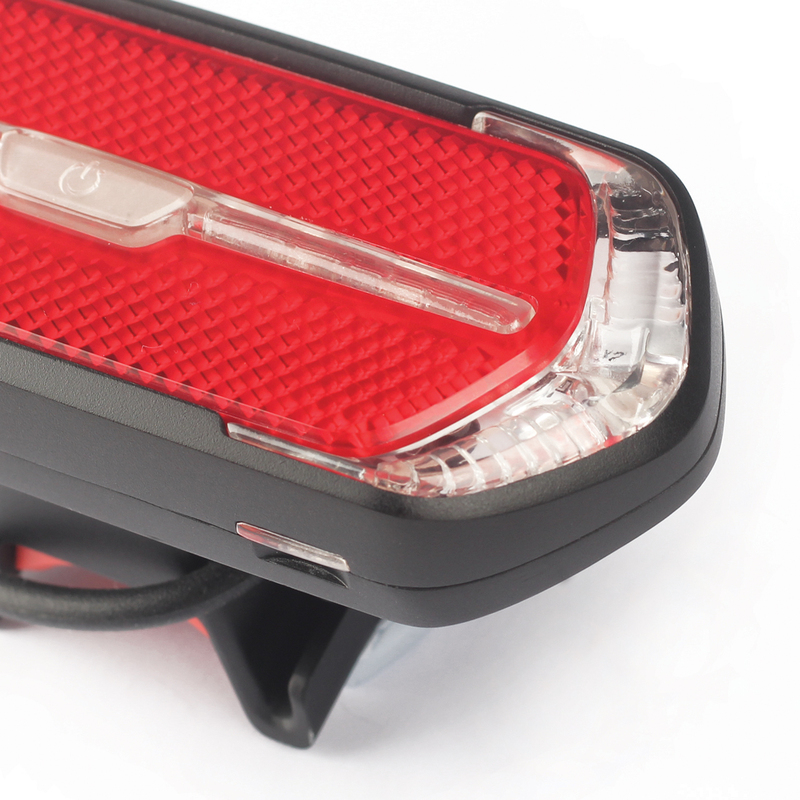 This bike-light with integrated reflector goes one step beyond for safety. 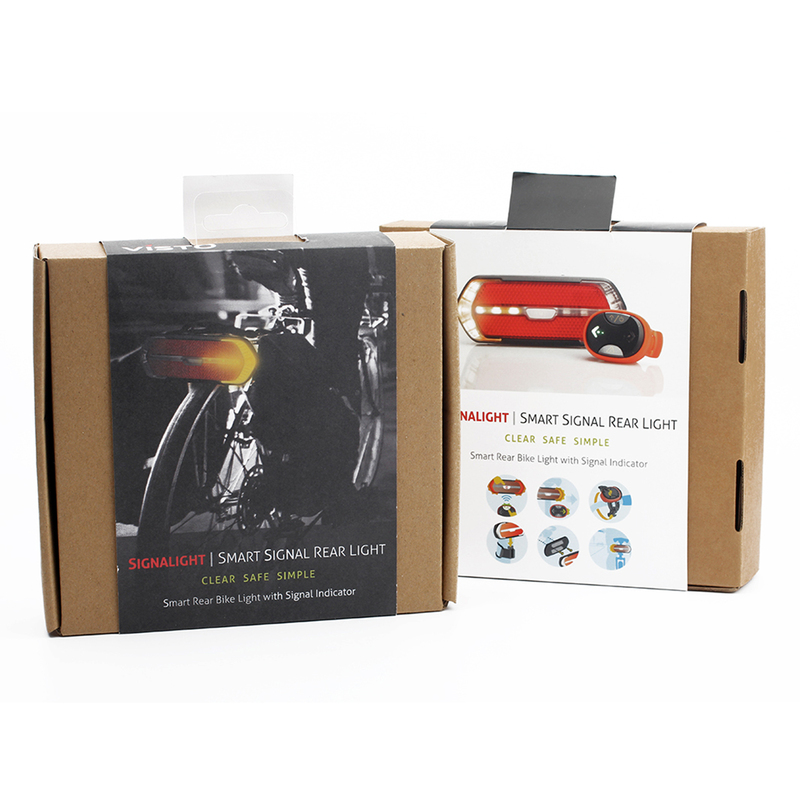 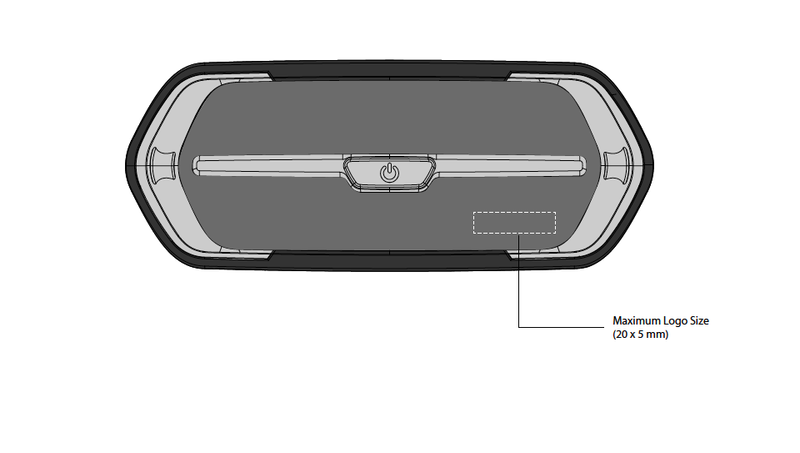 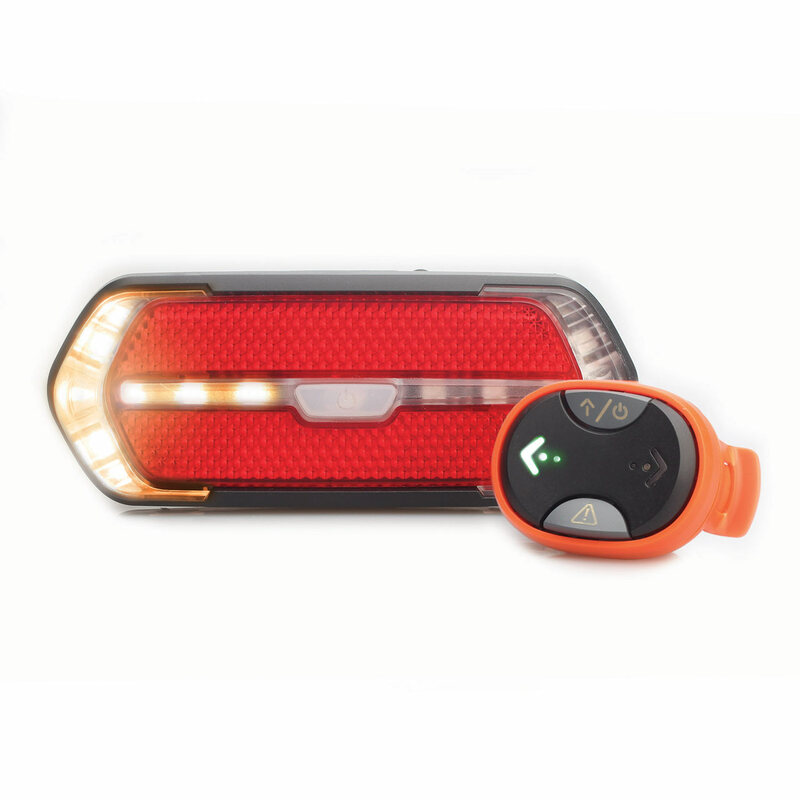 It features a left & right turn signal & an auto-brake light that is automatically triggered with sudden deceleration. 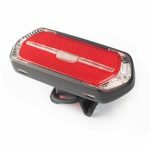 The wireless remote control is easily mounted on to your handlebar, and lets you select the turn signals.